Office workplaces are usually great, especially if you have fun and friendly colleagues whom you can occasionally share a laugh with. Unlike other working environments, offices don’t have obvious hazards like falling debris. If you’re lucky enough to have a desk near the window, you get to watch an amazing sunset as a bonus. Although offices are not perilous places to work in, they have their own dangers. For instance: sitting for long hours, staring at computer screens, lack of activity, and an unhealthy diet could all lead to more serious problems down the road. According to Dr. David Alter of the Toronto Rehabilitation Institute-University Health Network, even if you exercise after work does NOT guarantee that you’ll be able to stave off diseases (like Type II Diabetes) associated with a sedentary lifestyle. So what’s an office employee to do? Try to incorporate healthy habits at work. This includes eating the right snacks, adding a little activity between tasks, and observing proper posture. Seems a bit much? Let these 20 nifty gadgets help you stay healthy – even when you stay at your desk. The main problem with office environments is that most employees are tied to their desks for eight hours, which is detrimental to health. Standing up isn’t so practical because then you can’t work anymore. 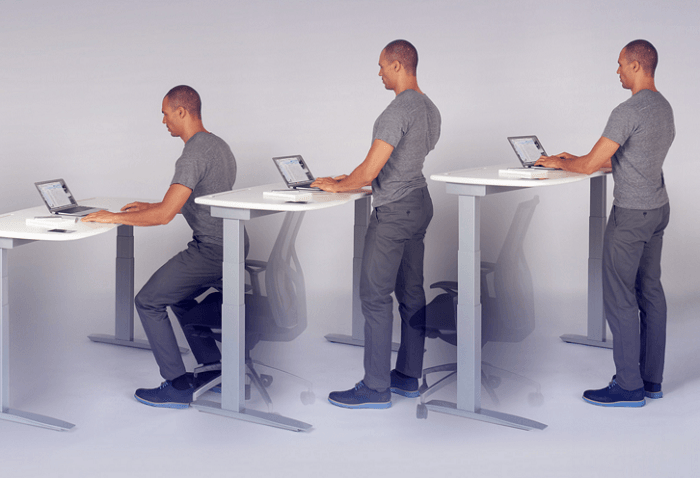 But with this portable standing desk, you can transform any chair into a standing desk in seconds. No assembly required. Use it as a standing desk for regular working hours, or as a podium for impromptu meetings and presentations. 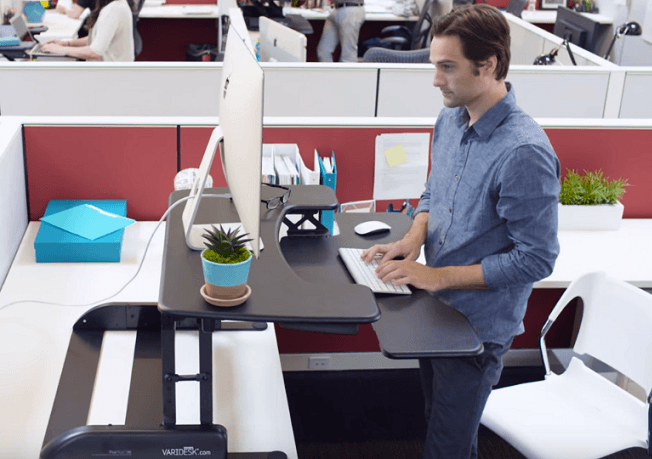 Unlike regular standing desks, Varidesk is height-adjustable and has other versions of the product to fit every office need. Their Pro series is the standard one for most workers, which has a single flat surface wide enough for up to two monitors. Their Pro Plus series however, boasts a two-tiered design with a separate keyboard tray to let you work more comfortably. If you want to go back to sitting down, simply adjust the arms and you’re back to your chair. Looking for a smart standing desk that knows when you want to change position? Look no further than Stir Kinetic desk. 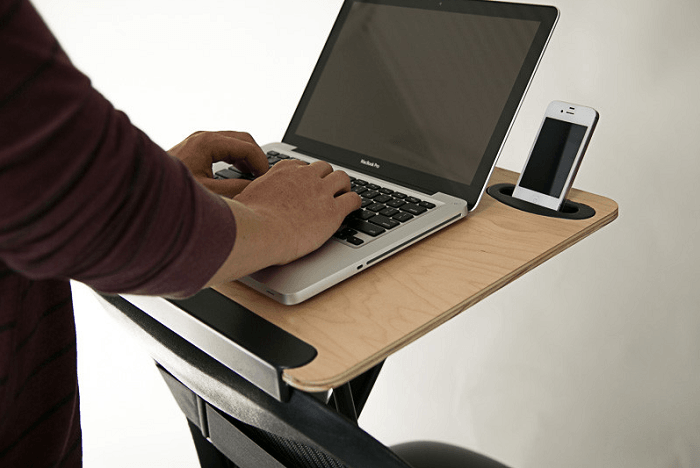 This nifty tool may look like a normal table, but it has integrated technology that prevents you from sitting all day. With just two taps on its touchscreen control, you can program it to slowly rise so you’re motivated to stand up. It can track your goals, recognize your habits, and even adjust to your height. With the Stir Kinetic, it’s easier – and more fun – to stay healthy while working. If you want to be more active than simply standing up, you can incorporate a little bit of exercise while sitting down. 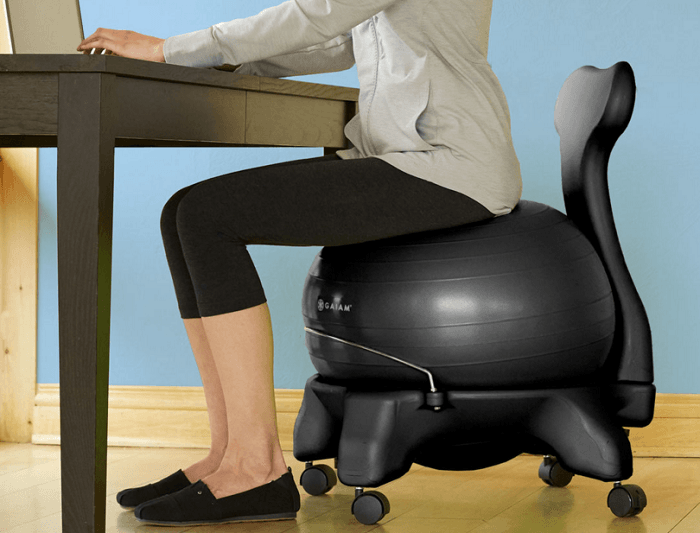 Gaiam’s classic balance ball chair will help you work on your core as you finish your tasks. Bounce, stretch, and balance your way to a healthier you. 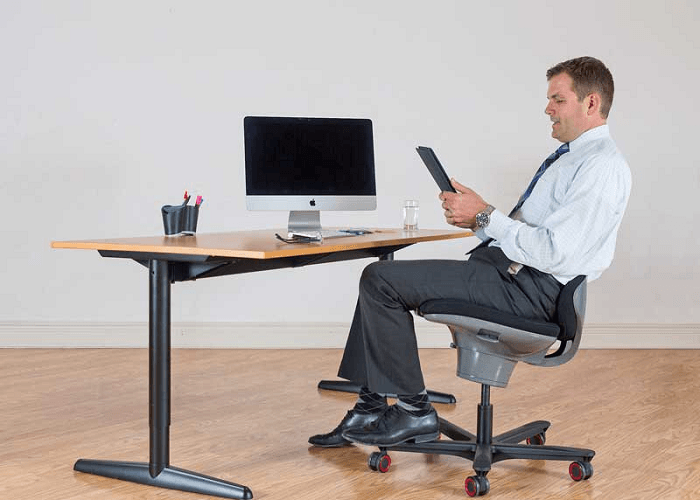 If you don’t mind constantly steadying yourself while you work, then this office chair may just be what you’re looking for. Suffering from back pain? Hate your office chair but not sure where to turn to? CoreChair might have the solution. What makes this product unique is its sculpted seat that prevents sliding and stabilizes your body. Meanwhile, the cushioned back hugs your pelvis to stop slouching. The mechanism also allows you to tilt, swivel, or turn smoothly in any direction. Could there be a better chair than the CoreChair? Probably not. Hammocks always remind us of relaxation: when you could (literally) put your feet up and be wrapped in a cocoon of warmth. 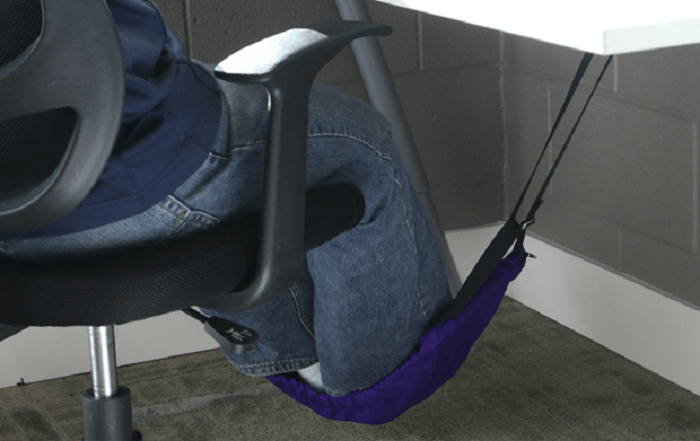 While you can’t exactly hang a hammock at work, you can still enjoy something similar with this innovative foot rest. Choose from simple mesh fabric or heated fleece for that extra comfort during cold weather. Created for people who spend long hours chained to their desks, now you can turn any space into something from your paradise fantasies. Let’s face it: even with the latest tech to help us sit and stand better, we often forget to do so. Wouldn’t it be nice if you could have a personal coach to gently remind you when it’s time to correct your sitting position? 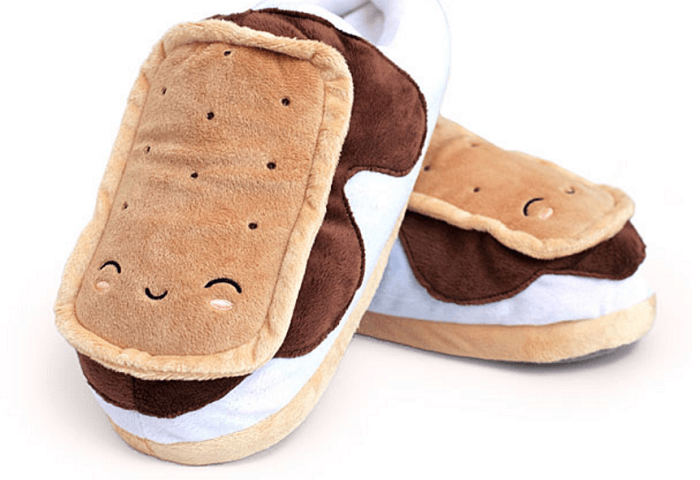 Welcome Darma smart cushion! It’s the first of its kind to help desk workers monitor sitting habits, posture, as well as stress levels. It’s amazingly personalized so you get customized reminders based on your own habits. As you don’t need to wear it or carry it around, you have more freedom to move. Bad posture is one of the major reasons for an aching back and other ailments. So fixing it as soon as possible should help alleviate some symptoms. But if an office chair or desk is not practical for you, try something that you could wear anywhere – even if you’re away from your desk. 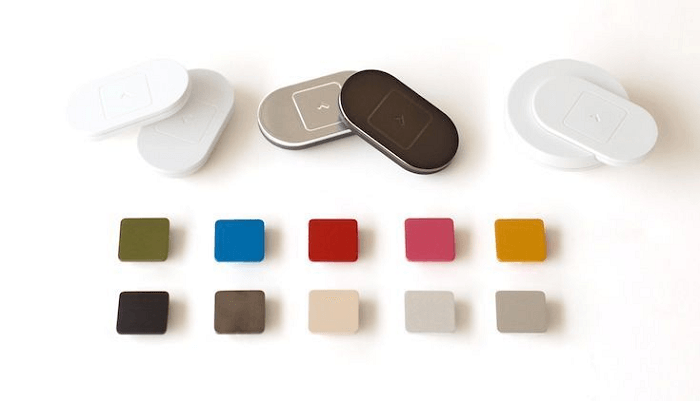 The Lumo Lift sensor is a small, stylish device that will gently vibrate to tell you to correct your posture. It will also keep track of your burned calories through an accompanying app. Now, you have no reason NOT to stand tall – whether at work or at home. Office air is NOT the cleanest. Aside from impurities like mold or chemical residues, the air you breathe could also hold contaminants from sick coworkers. If you’re sensitive to such things, you’ll want a nifty desktop air purifier that: a) doesn’t take up much space, b) is super quiet to avoid distractions, and c) durable enough to be operated for more eight hours a day, seven days a week. 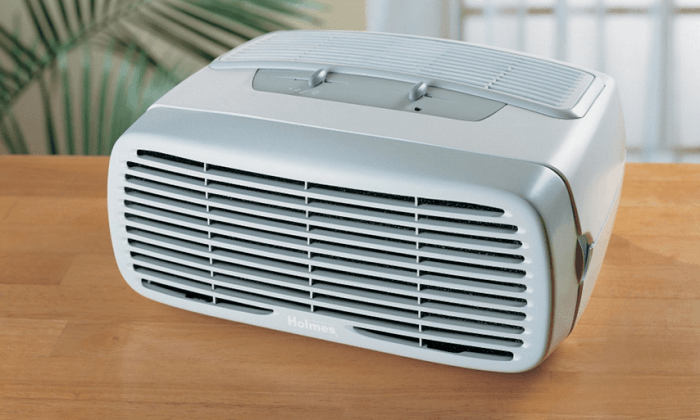 Try Holmes HEPA Type Desktop Air Purifier for a cleaner air while you work. One of the best ways to relax your tired eyes after staring at a screen for hours is to look at something green and leafy. But what if your desk is away from a window or there’s no sign of life at the office? 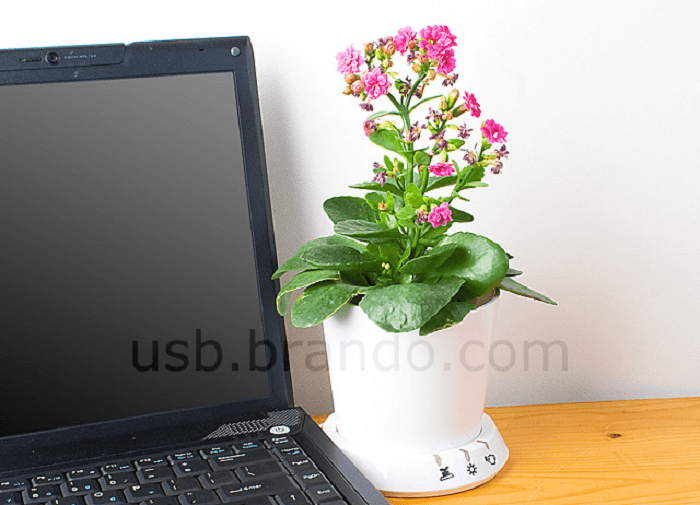 Then get one of these USB-powered flower pots. Simply install the software before using, and it will remind you when to water or take your precious flora out into the sun. It even makes for an adorable desk accessory. 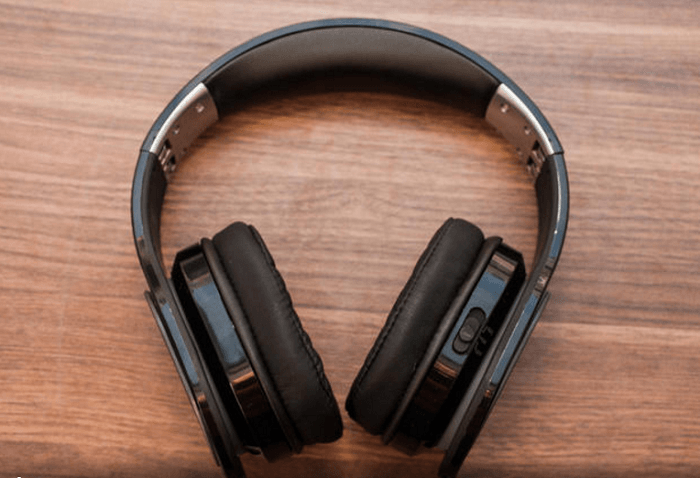 Whether you’re working on an important presentation OR just want some alone-time, these gadgets will ensure you get distracting voices out and feel-good music in. Pick one that suits your lifestyle: from full size gears to tiny ear bud types. Are you constantly complaining of headaches, neck pain, and/or sensitivity to light? Then you may be suffering from eye strain. Due to the nature of desk jobs, people can’t help but look at screens for long periods of time. That’s where good computer glasses come in handy. Unlike corrective or reading glasses, these are designed to give you optimum comfort as you work. 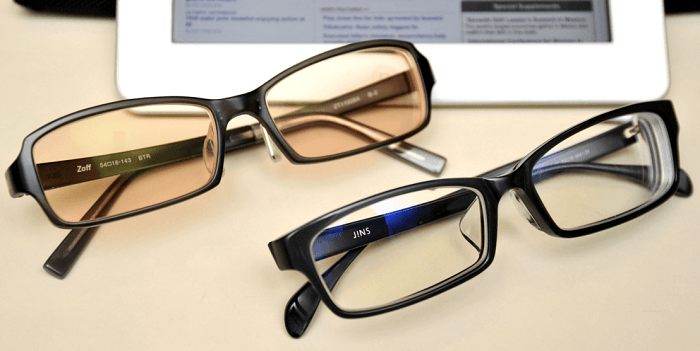 No more leaning in to see better or distorted vision due to light reflections. Ask your eye doctor for more information. If your office is trying to go eco-friendly by eliminating air-conditioning in the middle of summer, then it can feel super uncomfortable to work. Not only will you feel hot and sticky, such conditions could reveal more of your coworkers than you’d like to know. 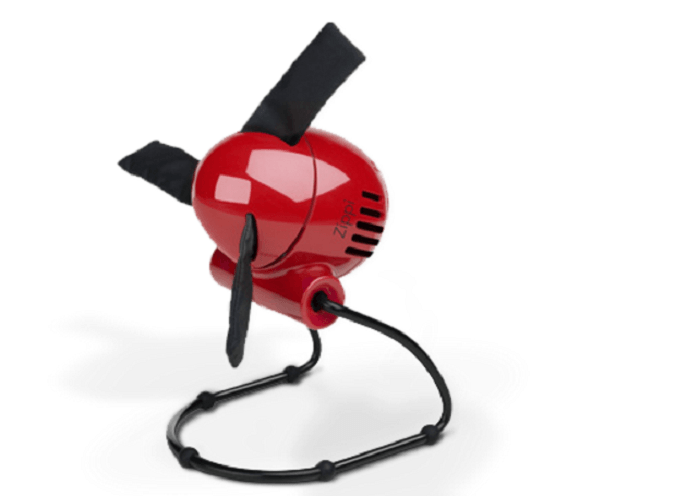 Keep cool with this cute and practical desk fan from Zippi. With two speed controls and safe, soft blades, you’ll keep heat at bay as you breeze through your tasks. Don’t you just hate it when your drink gets cold right before you finish it? Thanks to this nifty little gadget, you can keep coffee – or tea – warm for longer. With a USB cup warmer, you can even keep soups and other liquids hot. No need to microwave drinks anymore. The USB capability lets you power it anywhere. 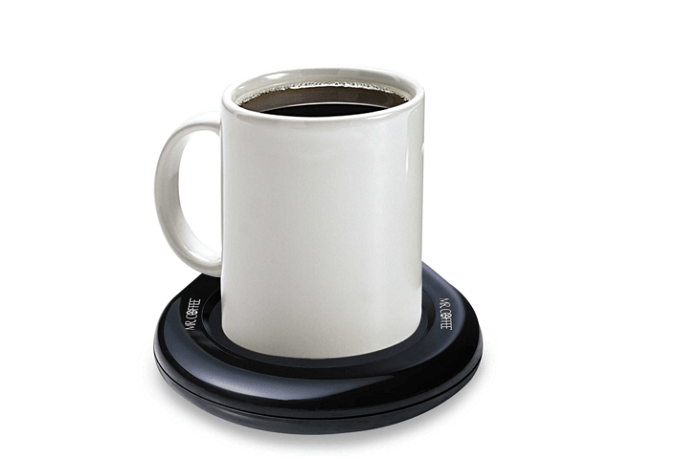 Try the Mr. Coffee® Mug Warmer by Bed Bath & Beyond for a little bit of heaven right at your desk. If your hands and/or feet tend to feel cold during winter or fall months, then you know it can sometimes be a hassle to focus on work. Thank goodness for USB heating gadgets that supply warmth at the comfort of your desk! Heated gloves make sure your hands are toasty as you type away, while slippers make every step a joy (especially for offices with tiled floors). 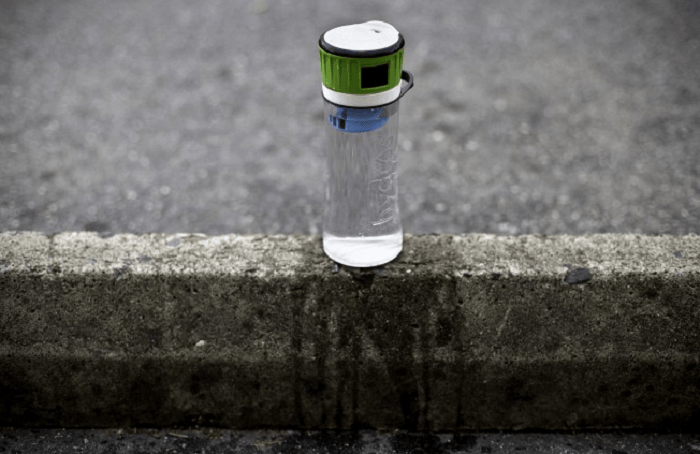 One of the common workplace problems is – believe it or not – dehydration. With all that paperwork, meetings, and brainstorming sessions, it’s so easy to forget to drink a glass of water (no, coffee doesn’t count). If you usually feel tired, out of focus, or irritable, perhaps a good drink is all you need. Stay hydrated with pure, refreshing water from your own water bottle. Hydros not only has its own filtering system, every purchase gives a percentage to fund sustainable water infrastructure projects. Preparing packed lunches is often troublesome because most of it spoils during your commute. 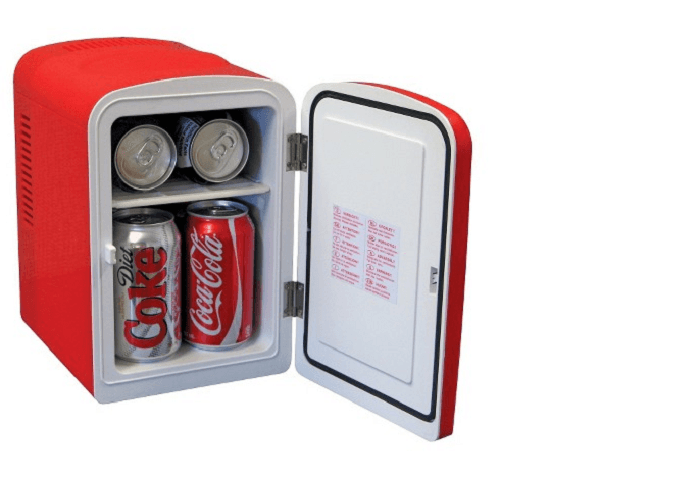 But with a personal desk fridge, you can now keep your food fresh and cold without worrying about spoilage. Say yes to green salads, fruits, cheeses – and even the occasional cola. Feeling tense because this month’s sale is lower than expected? Discreetly angry at your boss but don’t want to be loud about it? 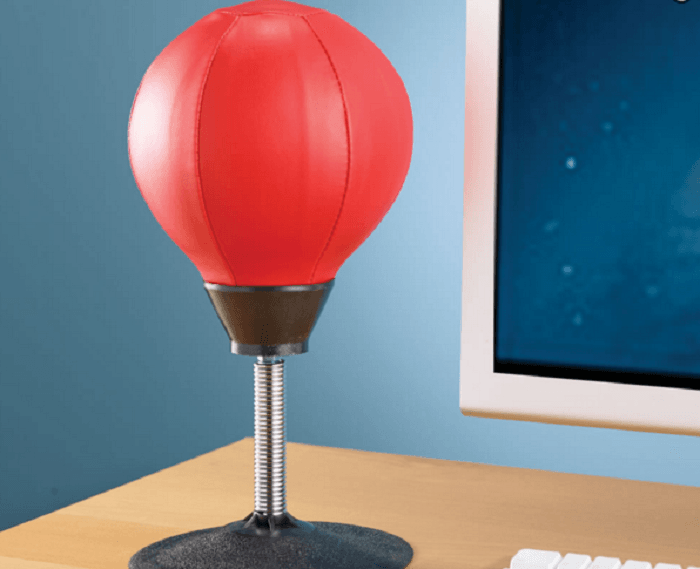 Then you’ll be happy with this stress-busting desktop punching bag. Whenever you’re furious at your coworker or are simply having a bad day, feel free to hit it with all the resentment you feel. Not to mention, the bold color will also look beautiful at your desk. Working in sedentary environments often poses new risks to our body. Thus, conditions like the carpal tunnel syndrome, has recently become widespread. If you’ve been diagnosed with it (or are currently recuperating from surgery), a gadget that offers low impact exercises could be just what you need to bring back your old self again. 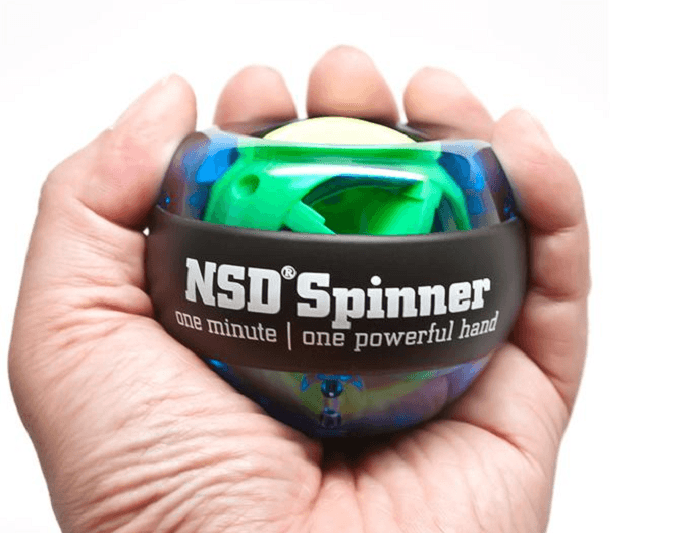 Wrist and forearm exercisers like the NSD Spinner, not only works great for physical therapy, it’s also advisable to strengthen grip, tone your forearm, as well as gain more control of your fingers. Why wait to get to the gym before working out? 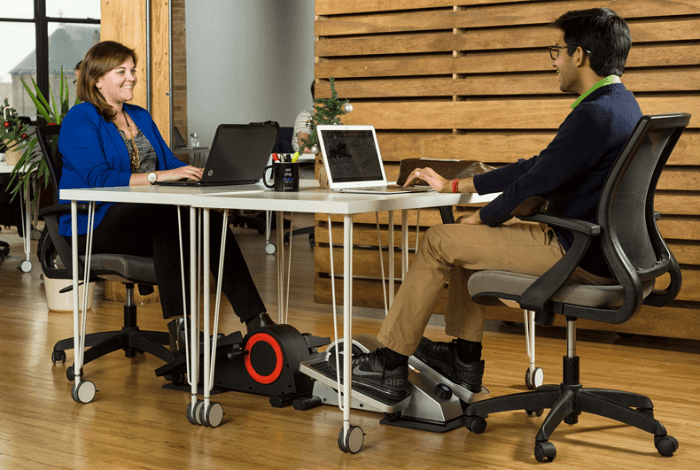 With a portable desk elliptical, you can start exercising as you finish that report. The Cubii Desk Elliptical with its quiet, ergonomic design can fit even in the smallest cubicles. As it’s specifically created for desk workers, Cubii is compact, and can even sync with smartphone fitness trackers like Fitbit. Just because you’re stuck to your desk for eight hours doesn’t mean you can’t find ways to be healthy. 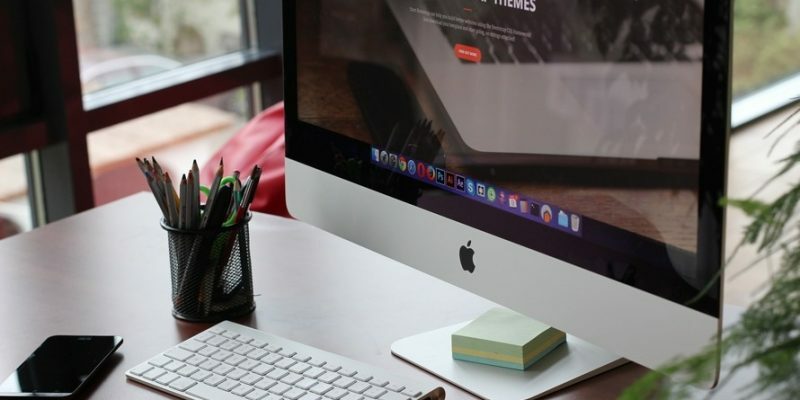 Try any of these amazing, portable gadgets and discover how much better work can be.